Mrs. Jessie Mae Bray, 100, of Americus, GA, passed away on Wednesday, November 21, 2018 at Magnolia Manor. Funeral services will be held at Cheek Memorial Baptist Church in Americus, GA on Saturday, November 24, 2018 at 2:00 PM with Rev. Rick Smith and Mr. Edgar Player officiating. The family will receive friends at Cheek Memorial Baptist Church beginning at 1:00 PM until service time. Burial will follow in Oak Grove Cemetery. Mrs. Bray was born August 31, 1918 in Macon County, GA to the late George Monroe Green and Etta Mae Joiner Green. She worked for over 20 years at Manhattan Shirt Factory before her retirement. Mrs. Bray was a member of Cheek Memorial Baptist Church. She was a faithful and strong woman never complained or had a bad word to say about anyone. Mrs. Bray was a wonderful cook and loved to spend time with her children and grandchildren. In addition to her parents, she was preceded in death by her husband, Lewis Monroe Bray, Sr., four siblings and a daughter-in-law, Linda Bray. 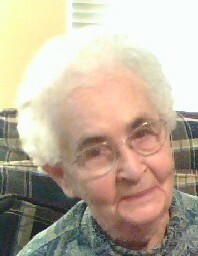 Survivors include her four children, Lewis Bray, Jr. of Americus, Ivey Giddens and her husband, Randall of Kathleen, GA, Opal Player and her husband, Edgar of Americus, and Bertha Buchanan and her husband, Robert of Plains, GA; thirteen grandchildren, twelve great-grandchildren and five great-great-grandchildren; and numerous nieces and nephews.